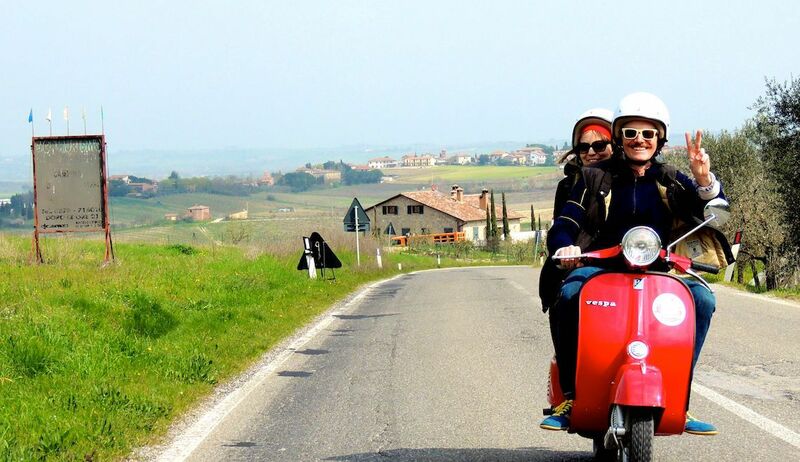 If you are thinking of booking your holidays between Siena and Florence, choose Pieve di San Martino; for all guests, numerous activities are available, including a tour on Vespa in the Val di Merse! The first stage is Chiusdino, village perched on the hill, home to the birthplace of San Galgano and the Rectory of St. Michael, where is preserved the relic of the saint's head. We will continue to Ciciano to discover the landscapes around the river Merse, until you get to the famous Mulino Bianco advertising cookies. After a little break relax, maybe with a nice picnic in the countryside, we will light the engines to reach the Abbey of San Galgano (fascinating open-air structure) and to go in search of the Sword in the Stone. The tour will end darting between the small towns of Tocchi and San Lorenzo a Merse.